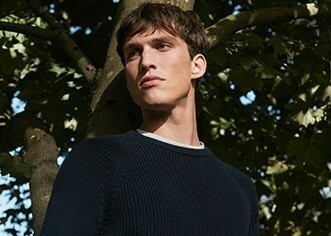 A modern take on the classic athletic sweatshirt, the iconic Sunspel sweatshirt has a neat fit and refined sweatshirt detailing, with its V-stitch insert and rib cuffs. it is made from an exceptionally soft loopback fabric, and its traditional internal loop stitch is warm and insulating. Pair with the matching sweatpants as part of the track set.